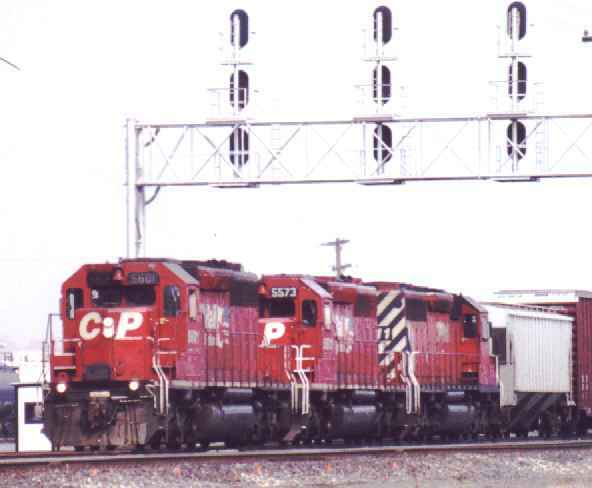 A westbound CN freight holding at the west end of the Port Huron yard. 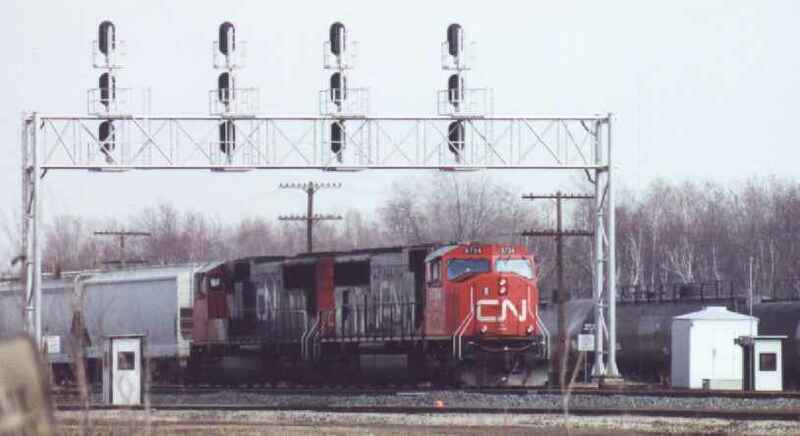 A Canadian Pacific freight getting under way on the CN/GTW under the same signal bridge as the CN freight earlier. The "International" enters Port Huron yard as the CP freight's tail end is clearing the yard. Notice that Conrail engine nose on the track between the tankcars? A re-numbered Conrail SD70MAC and a CSXT SD70MAC lead a Detroit Edison empty unit coal train from the Port Huron & Detroit yard connector track toward the CN/GTW mainline.